After several years of working as a makeup artist in New York City, I've decided to start a blog, to both record my creative life as an artist, as well as to share my thoughts and start conversations about the film industry. We all know the struggle. Whether it is waking up for those 5 am call times, or lugging our loads of heavy equipment through the city, we are in it because we love it! What kind of work? I'm a makeup artist, so that means photos with people in them, right? Challenge: This blog will show my makeup work, but it needs to be more than that. It will be a showcase of inspiration and ideas. A blog that shares my passion for makeup, but also all the other art that falls out of that category. Sometimes the world of makeup and props merges and you get to create something really interesting and unique. 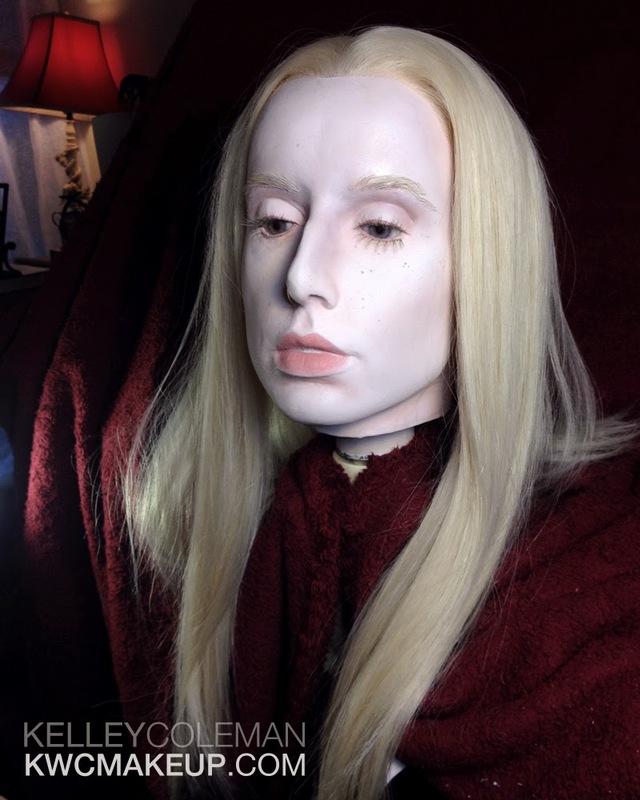 This past year, I embarked on a journey with several other artists to create a mannequin on a budget for VeraMeat, a jewelry store in Williamsburg, Brooklyn. 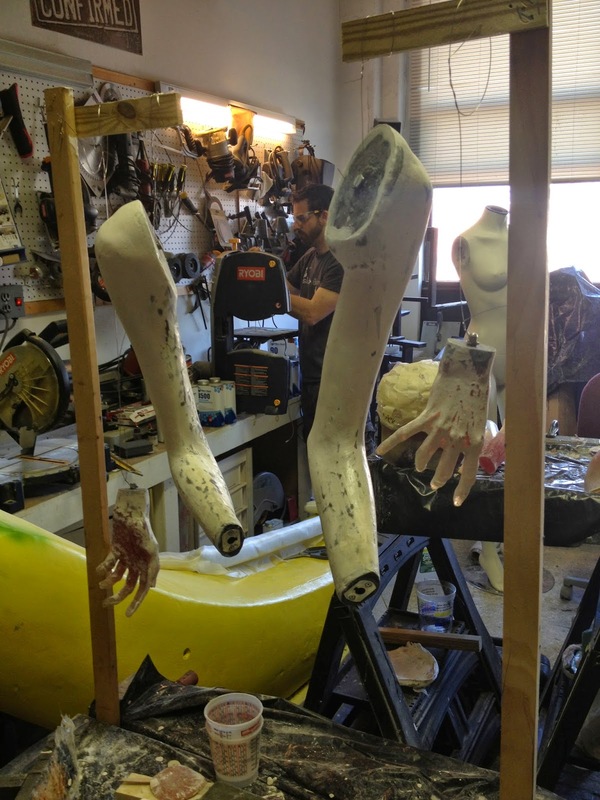 We used the generic body of a previously made mannequin as a base, but created custom arms, hands and head. The above photos are of the lifecast molds being filled and used to make plaster parts. 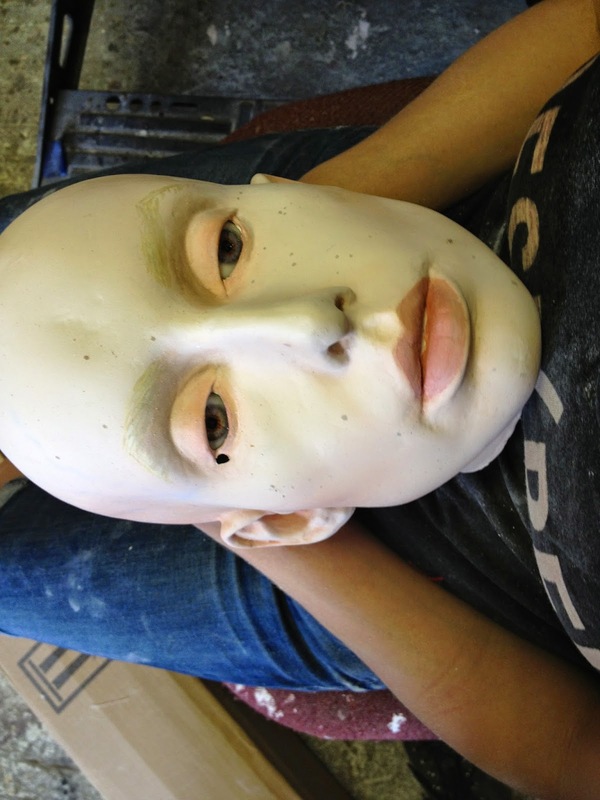 We used Smooth-On's body double for the lifecast. I am assisted by fellow Makeup artist, Shaun Thomas Gibson, and artist, Plaid Klaus. Once the pieces are created, they must be fused together and sanded down. The body parts are made out of hydrocal with ultracal as a fuser of the two pieces. This is done to create something to make the molds. Engineer and math genius, Joe from Stark Naked Industries, measures for the attachment parts he will design and make on the 3-D printer. The eyes were designed by Tech Optics in California. They came out so well, they even custom blended extra pink around the pupil for us. 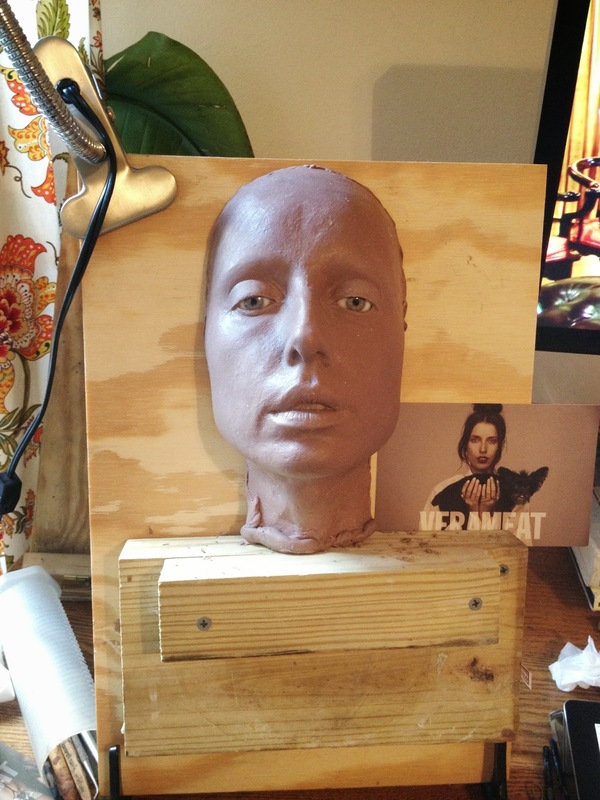 We took the lifecast of the model's head and did a clay pour with Monster Clay. If you haven't used it, I highly recommend it. It has a low melting temperature and cools quickly with the perfect level of hardness. If you do a clay pour yourself, I recommend getting a good splash coat all over the detail area first so there are no freeze lines. This is the same technique I use to make a fake head. You can see the clay head above without any adjustments. In order to make a mold with eyes open, I cut the head in half and created holes for the eyes to rest while sculpting. I decided there was not enough depth above the eyes once they were opened, and dug in at the brow bone to open the eyes up. Not shown are the images of the clay head put back together before casting. Fiberglass resin used in making the body parts. 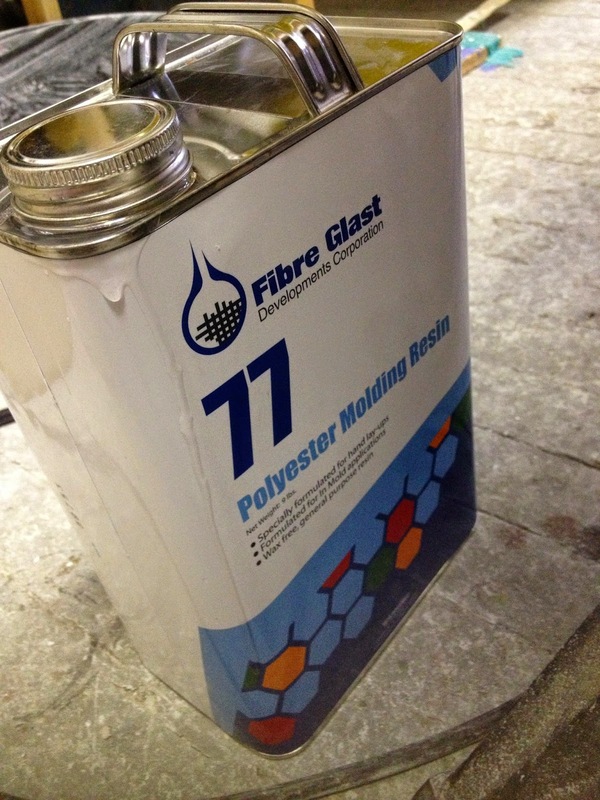 All of the fiberglass material comes from a company called Fibre Glast. Above is the three piece mold about to be pulled apart. We ran out of orange resin, so the front is black. The front mold was done in two pieces split down the middle to allow for undercuts. This is what the mold looks like with the front removed. 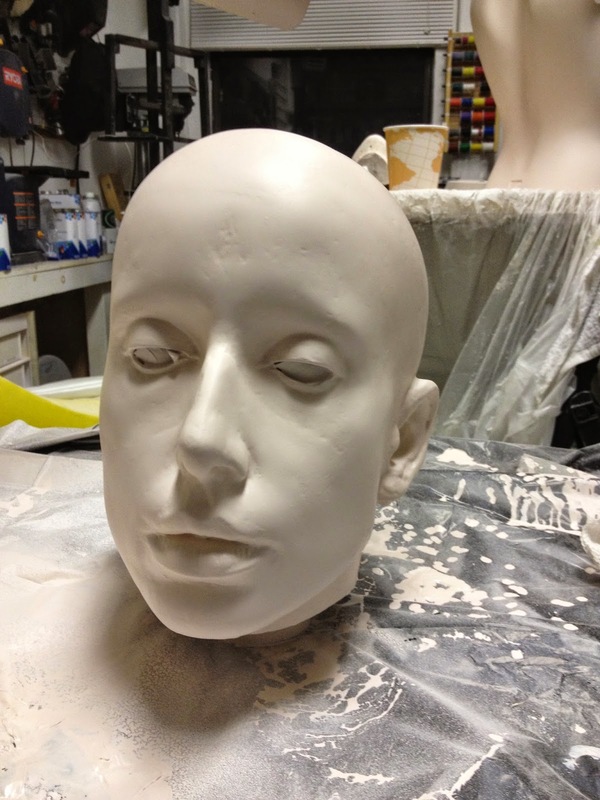 I made a silicone jacket out of body double to ensure that all the detail from the clay head was preserved. 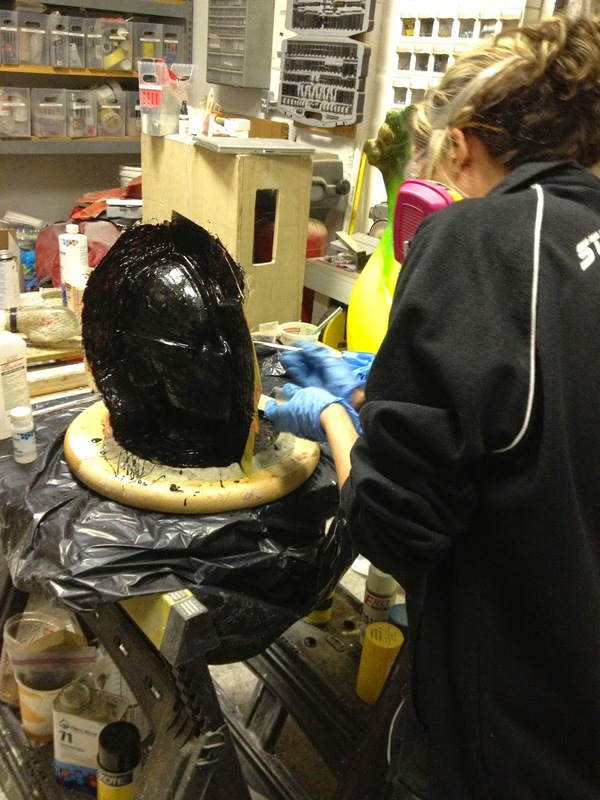 We made the back of the head mold first, let it dry, then covered the front with the silicone. Once that dried, a white clay layer 1" thick was applied. This was sculpted to be the underlying shape of the front of the mold. You can see in the above picture where the clay still rests in the mold. A note, I would recommend not using white clay, but perhaps WED because something in the white clay inhibited the black resin from setting up in some places. 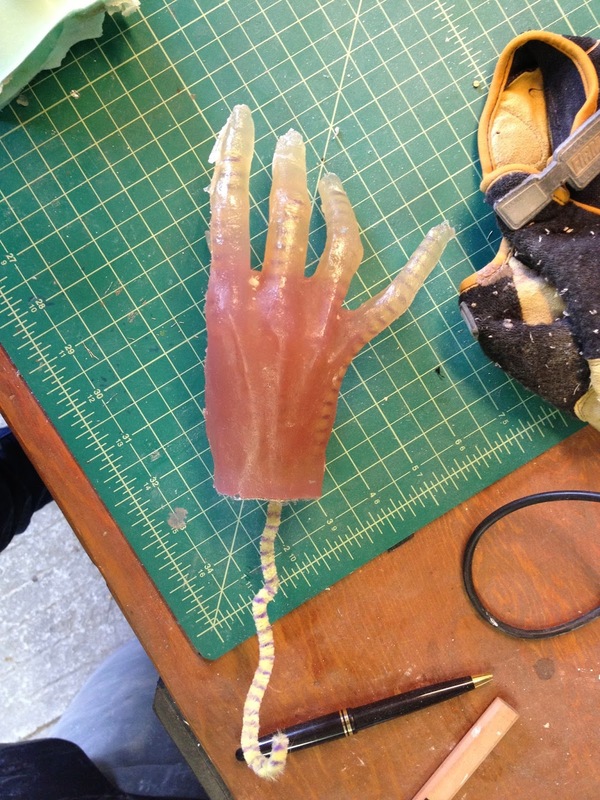 For more on this technique, I recommend Neill Gorton's Creating Charater Prosthetics in Silicone. Here is the demolded resin head. The mold ended up being poured in two parts: the back and the front. This was decided on to allow for extra resin to be poured into the details of the face. The two pieces were joined together with fine fiberglass mesh and sanded. Eyes were drilled out to allow for mannequin eyes. Above is the fiberglass head with a white gel coat. If you have never worked with fiberglass before, prepare yourself for A LOT of sanding. Fortunately Stark Naked Industries has a pneumatic sander which makes the sanding a breeze. Fiberglass work can be very smelly, so use proper ventilation and a mask! The fiberglass resin was poured into the head up to the cheekbones and allowed to dry before being backed by fiberglass chopped strand mat. Once the head was removed from the mold, it was sanded for any imperfections and a white gel coat was applied. The hands were the trickiest part of the whole process. At first, when the resin was poured into the molds, it smoked because of an exothermic reaction of the catalyst with the resin. Less catalyst was used and longer dry time added. The model's hands were small and delicate. The first pair's fingers broke off when we tried to gel coat them. To keep the fingers intact, we added pipe cleaners. The other body parts were sanded and repainted to go with the albino coloring scheme. A pneumatic spray painter was used for large work. Various shades of pink, lilac and tan were used to highlight and shade the body. An iwata airbrush and createx paints were used to paint the colors on. I recommend a thinner or mixing medium to get the colors through the airbrush. Here is the head, almost finished. Some hand painting with the createx paints and patching with fairing compound around the eyes tie it together. 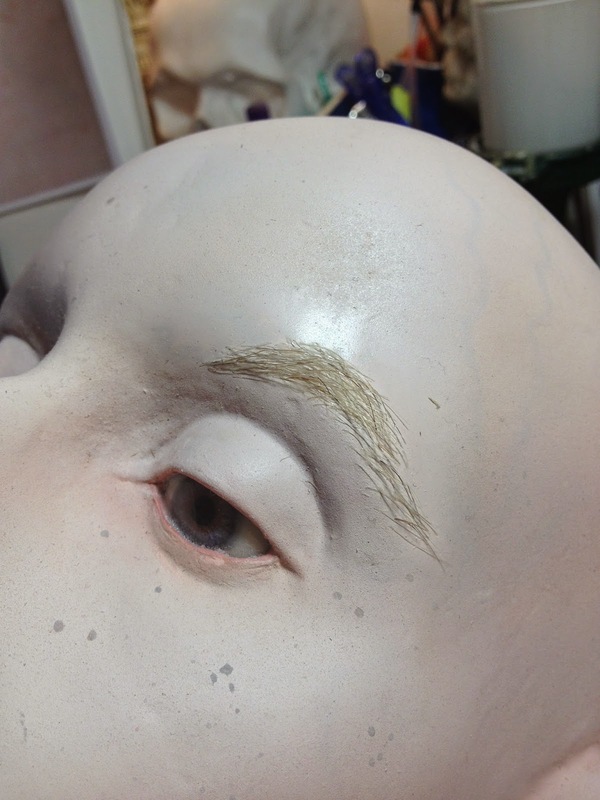 We decided that instead of painted eyebrows to apply the eyebrows by hand. I used a razor to strategically cut a few pieces of hair off the wig layers and super glue the hairs one by one with tweezers on the brow bone. This is best done at the tale of the brow and build toward the nose. I mixed in a few lighter and darker hairs for dimension. Here she is, with the wig placed for size and and eyelashes glued into place.